I hope you’ve been enjoying Season 4 of Endeavour. I’m glad they expanded WPC Trewlove’s role. 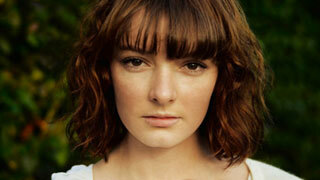 Returning to Oxford to film the series must have been a treat for actress Dakota Blue Richards, who plays Trewlove. The now 23-year-old last filmed in Oxford as a child of 12 when she was cast as the juvenile lead, Lyra Belacqua, in 2006 film The Golden Compass, starring opposite Daniel Craig and Nicole Kidman. It was her first acting role and she got it after journeying from her home in Brighton to attend an open audition in Cambridge. Ten thousand other young girls reportedly auditioned for the role, but video footage of only 40 were sent to the author of the book series from which the film was adapted. 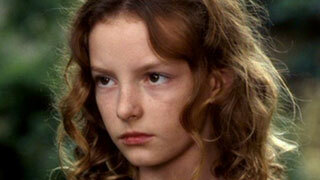 Richards was one of two girls that the author, Philip Pullman, recommended for the role of his protagonist. Having being a huge fan of the book series since she was 9, you can imagine how thrilled that must have made the youngster. As well as film and television, Richards is now also a stage actress. Her first production was in a touring company of Tom Stoppard’s Arcadia. Richards next appeared as Stella in a production of A Streetcar Named Desire and most recently she was in a revival earlier this year of Joe Orton’s What the Butler Saw. 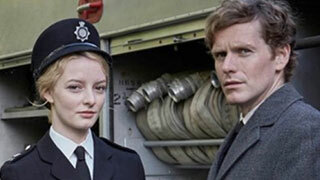 Richards then donned her police uniform and returned to television to work on Season 5 of Endeavour, which will be released in the U.K. early next year. As well as the uncomfortable uniform, Richards also found that preparing for the role of Trewlove was “quite difficult”, as there are very few examples of female police officers from the time period in which the series is set. Generally back then, the WPCs were given the types of jobs that the powers that be felt needed a female touch – “dealing with children, victims of assault or abuse”. Trewlove as we know has more responsibilities than most had at that time though and it’ll be terrific seeing the character develop in Season 5 next year. The last episode in the current season of Endeavour airs, Sunday September 10 at 9pm.